ACP's open letter does not suggest any realistic solution to the problem and is not intended to correct the illegal act committed by these people and their federations.ACP requests FIDE to start negotiations with TCF,GCF and I being included.However one should not forget that Mr.Makropoulos and Mr.Yazici are not only the presidents of GCF and TCF respectively but also they are in FIDE executive board, taking exteremely active role in every single FIDE decision.In some way expecting these people to adress themselves about their own decisions, is simply illogical. In the inceptional period of my case Mr.Yazici with his vendetta on my wife and me, did not stop by only excluding us from FIDE official tournaments,federation support and national teams but as it is known he made TCF disciplinary commity to boycott me from national chess events for a long time, using non existing rules and means in international arena.With the help of Mr. Makropoulos and his federation now this is extended to an international dimension.These people they feel untouchables,and FIDE Ethics Commity rejecting my appeal on Yazici who tried to remove me from Golden Sands Tournament even threatening the organisers with making the event unrated,is a good example of misuse of power by a FIDE executive board member.When GM Marzolo commits an illegal act he is punished by FIDE Ethics Commity but when a FIDE vice president or a deputy president does the same ,the commity led by Mr.Rivello shows allowance. Thus ACP's letter does not constitute a corrective warning for him nor for Mr.Makropoulos,and it is neither a serious threat for them nor for the system they are bringing up. The last but not the least if these people will not be stopped,or forced to resign from FIDE, their illegal acts will continue.Mr. 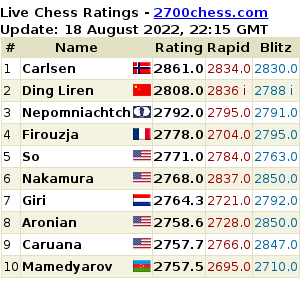 Yazici has not only bent all the criteria,norms and rules in Turkey in such a way that even to be the strongest in chess does not matter anymore to get what you deserve for and the relationship with him and dependency on him is rewarded instead.The rules he is trying to pass during the coming FIDE Congress which will be held in Istanbul are just heralding the future of chess and also are extremely contraversial with his other position in Chess in Schools Commission of FIDE. 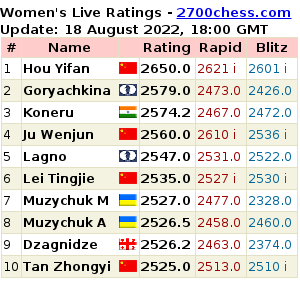 The whole chess world should be alert that the standings and rights of chess players inside of the chess world is getting diminished day by day and we observe the inevitable rise of chess politicians or bureaucrats. I hereby claim that I will not take part in any negotiations with these people concerning illegal decisions they have taken so far ,in spite of ACP suggestion because I simply believe that they should undergo the consequences of their acts and get punished.